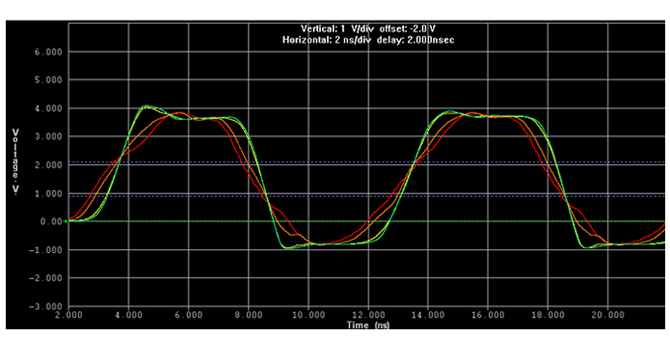 Learn when and how to apply signal integrity techniques to high-speed interfaces. This comprehensive course combines design techniques and methodology with relevant background concepts of high-speed bus and clock design, including transmission line termination, loading, and jitter. You will work with IBIS models and complete simulations using Mentor Graphics HyperLynx. Other topics include managing PCB effects and on-chip termination. This course balances lecture modules with instructor demonstrations and practical hands-on labs. LineSim free-form schematic creation, editing stack-up, assignment of models and component values. Compare theoretical values with simulation results. Evaluating the effects of different impedance matching strategies, topologies, technologies, and stack-ups in LineSim Sweeping design parameters. Create and debug IBIS models. Perform Batch Mode Quick Analysis in BoardSim and review the report.